Understanding Applied Learning enables teachers, lecturers and educators to facilitate applied learning effectively with learners in schools, colleges and universities. 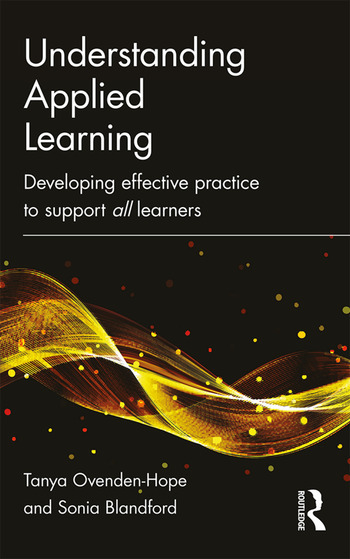 It introduces teachers to the concept of applied learning in practice, cutting across any vocational and academic divide to show how this approach supports high-quality and effective outcomes for learners. Applied learning prepares and equips learners for life in the twenty-first century and lifelong learning. Offering practical guidance on why and how to adopt applied learning in all post-primary settings, this practical resource introduces and explores the core concepts, practices and benefits of using this approach. Illustrated with real-life scenarios, it examines why applied learning is relevant today, how it enables learners to connect knowledge with new situations, how to navigate and solve intellectual and skills-based problems and how to work collaboratively and develop higher-level thinking skills. How to embed creativity into learning experiences. Understanding Applied Learning is an authoritative, down-to-earth guide to facilitate applied learning effectively and successfully with students in secondary schools, colleges and universities. It is a source of support and inspiration for all those committed to high-quality and effective outcomes for learners. Introduction: What is applied Learning? Dr Tanya Ovenden-Hope is Director of Educational Research and Development, The Cornwall College Group, UK; Adjunct Professor, Cape Breton University, Nova Scotia, Canada; and Visiting Research Fellow, Insititute of Education, Plymouth University, UK. Professor Sonia Blandford is Founder and CEO, Achievement for All, UK and Professor in Education and Social Enterprise, London Centre for Leadership in Learning, Institute of Education, UCL, UK.